So, This tool converts just a single point in the genome at once. If at all I want to convert all points in my bed file, I need to write a loop function in python.I found this of no use at all. If I am interested to look at a single point I will easily look at the dbSNP website. Also, I found that this works for only 'hg17' to 'hg18' conversion. It is not working correctly for other conversions, for example 'hg18' to 'hg38'. Well, this is meant for scripting workflows, where writing loops is the normal approach, and "looking at the dbSNP website" is not a solution (moreover, dbSNP would not convert arbitrary coordinates anyway). I would be happy if you could bring an example of an invalid hg18-to-hg38 conversion, as it would be a bug worth fixing. I know this post is years old, but I think it's a shame that the only comment is a negative one. I found PyLiftover to be very useful. I was writing a script to convert a custom genotype file format into the standard VCF. Being able to convert line-by-line in my Python script allowed me to avoid the cumbersome process of first converting the file to BED, then running liftOver, and then trying to combine this back with the information in the original file format. It also allowed me to easily log if the conversion was successful or not. In short, thanks for writing, sharing, and advertising this useful software. Hey, thanks for the positive feedback! Oddly enough, I am just starting to use this tool also and have to say my thanks. 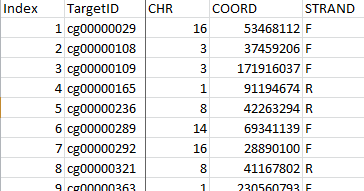 I have previously been using Ensembl REST to convert from hg19 to GRCh38 and while that is fine for a small number of queries, its not good enough for the large numbers of variant positions I am converting from the GTEx project. Comparatively, this is insanely fast and is saving me a lot of time. Seems that unfortunately your first comment was from someone who didn't know what they were doing. However, from me, great thanks! Could you tell me what does the second number mean (2290061362) ? Returns a list of possible conversions for a given chromosome position. The list may be empty (no conversion), have a single element (unique conversion), or several elements (position mapped to several chains). I'm also finding this useful at this late juncture. It was ahead of its time, I guess, in the sense that lots of folks weren't working between hg38 and hg19 on the regular like we are now.